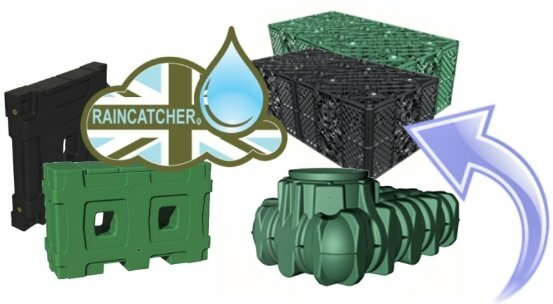 Among RainCatcher’s rainwater harvesting product range of innovative, high performance, easy-to-install tanks, filters, pumps and accessories you will also find our new RainCatcher storm crates. Our storm crates, available in black and green (pictured above), offer an anti-flooding solution capable of rapid drainage of land by soaking down surface water into weight resistant structures. 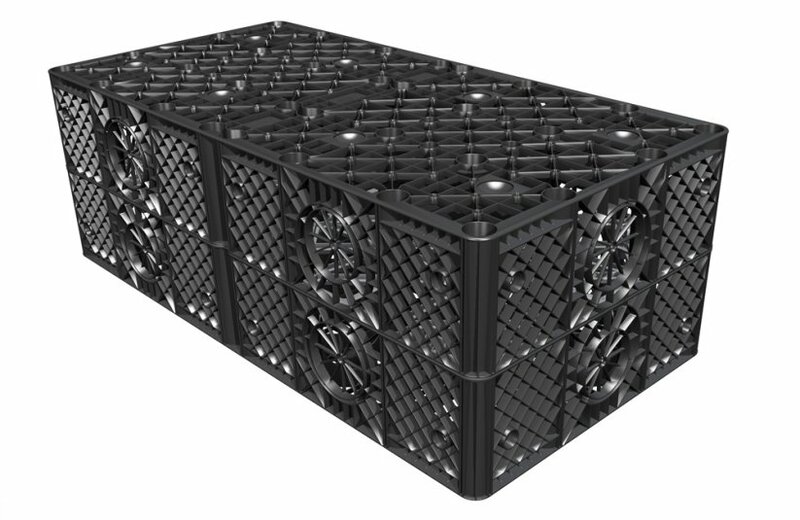 The plastic crates, or cells as they are commonly known, are an excellent and more modern solution for draining and managing surface water runoff. Applicable uses cover both domestic and commercial scenarios with ease – from muddy, boggy gardens to storm water management on city shopping precincts. Scale up or scale down, the same principles apply. 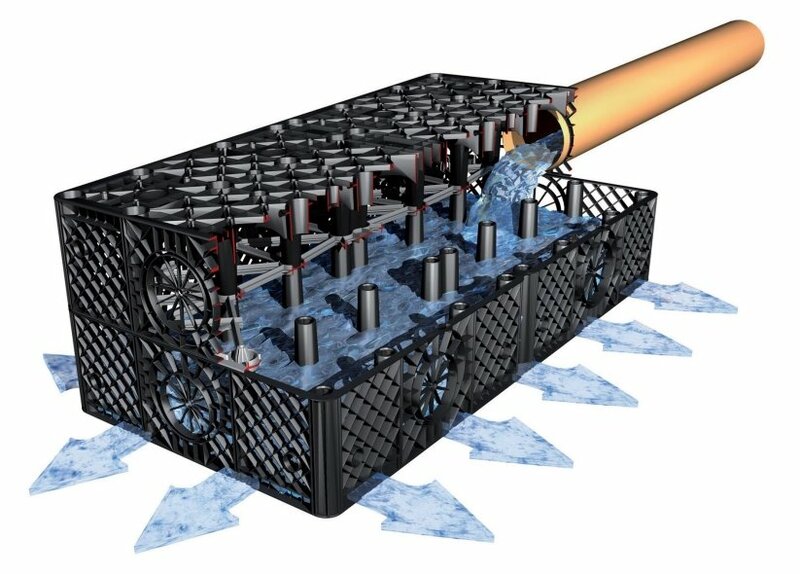 RainCatcher’s cells are 1200 x 600 x 420mm in dimension and each holds a capacity of 300 litres (95% void), taking up less space for higher volumes of water. Multiple crates can be clipped together (clips supplied) and can be used for pedestrian or heavy loading applications. Installation of these modular crates allows surface rainwater to be stored in one location and gradually released back to the ground or to drain when a storm surge has subsided – this is known as storm water infiltration or attenuation. They’re strong, durable and require minimal assembly. Once installed the crates have an extreme load bearing capacity, taking the weight of heavy goods vehicles while also suitable for drives, car parks, lawns and other flood-prone areas. Effective flood risk management can only be achieved through continuous change in the control of rainwater runoff — RainCatcher are here to help! Get in touch to learn more about our soakaway crates and other solutions. ← RainCatcher Reporting Successful RWM 2016 Exhibition – Thanks For Joining Us!